Click on the down arrow in the box above to view the drop-down menu if you want to order more than one calendar. Please note that you will be charged the amount listed in the drop-down menu plus a flat, priority shipping & handling fee of $15.85 for orders of 1 - 9 calendars. Enjoy FREE SHIPPING for a limited time only! If you would like to order 10 or more calendars, please email Lynn Pinder at lpinder@thetakeactionnetwork.com to request a Bulk Discount Sales Sheet. To view a listing of other CAOT products/services, please visit www.christianaotmarketplace.blogspot.com or CLICK HERE! 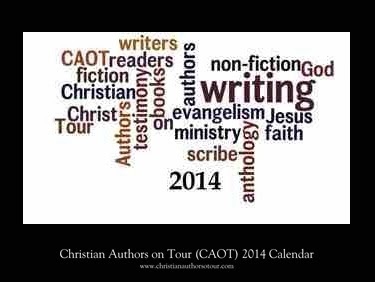 Keep checking this site for updates and 2014 membership rates for Christian Authors on Tour's (CAOT) 2014 Christian Book Tour! More details will be posted before January 31, 2014! Download a FREE E-Book from CAOT! This anthology reminds readers about the true meaning of Christmas! 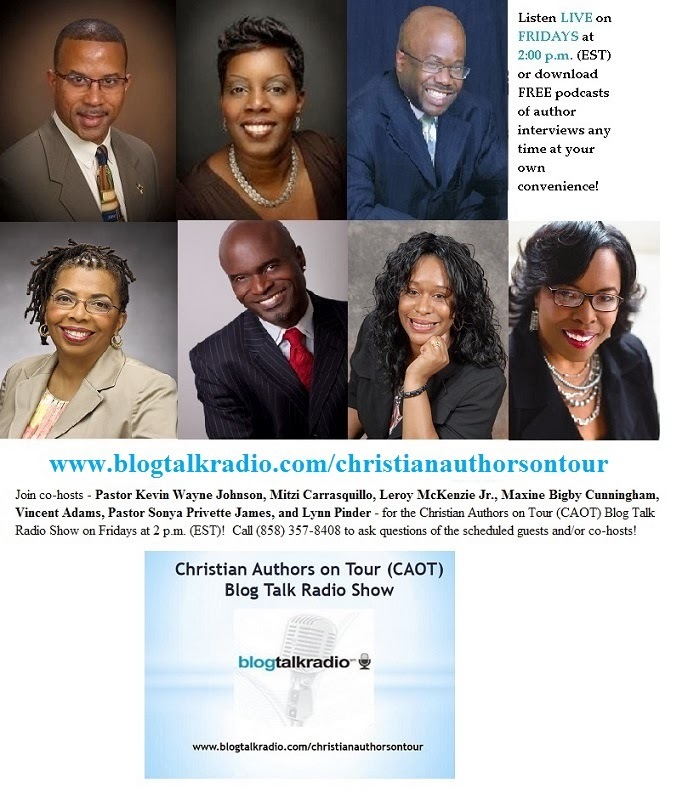 Listen LIVE on Fridays at 2 p.m. (ET) or download "On-Demand" podcasts of interviews at any time to listen at your own convenience! Have you read the latest NEWS from CAOT? Meet the 2014 CAOT Team!